With this little charging device, you will not need to bother messing around with wires and plugs. 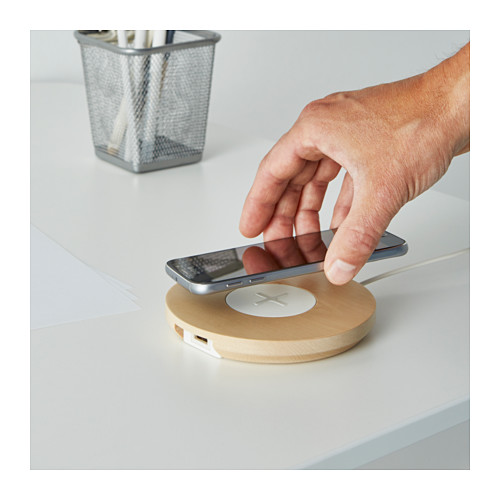 This Qi-certified single pad for wireless charging has a gorgeous design and is made of birch. All you need to do at night is to just place your mobile on there and it’ll be automatically charged for you by morning. Make sure that your device is Qi-certified, e.g. Samsung Galaxy S6 or Apple iPhone 8 or new models.